It’s not exactly Stewart Lee in terms of comedic sophistication, but for some reason, this made us laugh quite a lot this morning! 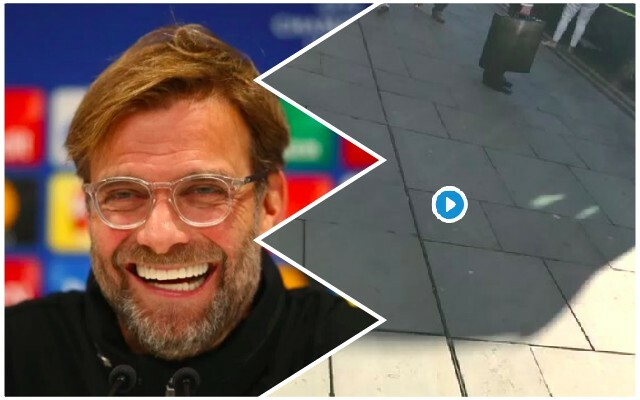 Liverpool fan Conner Kenny uploaded this video to Twitter yesterday evening, in which he asks a Manchester City fan for directions to Kiev. The startled Citizen initially tries to point it out, before realising he’s had his pants pulled down! Liverpool of course will soon be travelling to the Ukrainian capital for the Champions League Final, having beaten City into submission in the quarterfinals. The 5-1 scoreline didn’t flatter Jurgen Klopp’s rampant Reds against a side who despite racking up 100 Premier League points, have lose their past three games to us.